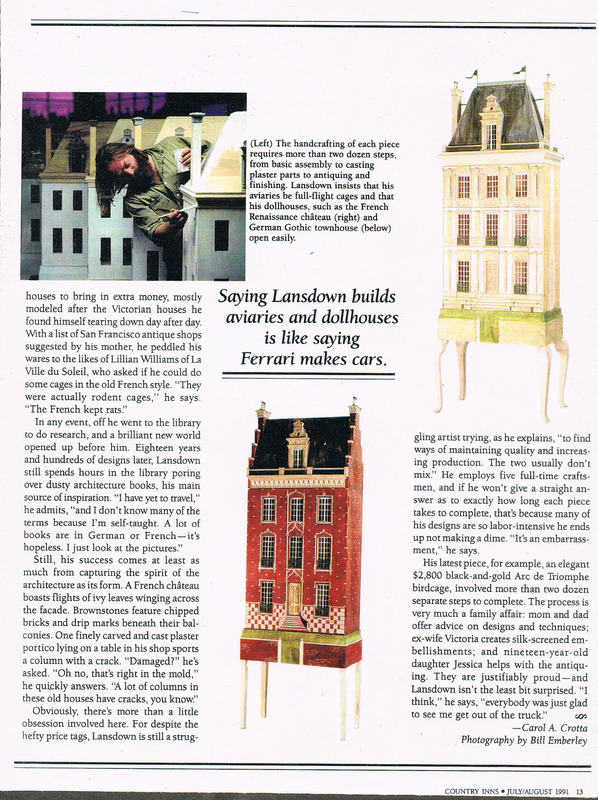 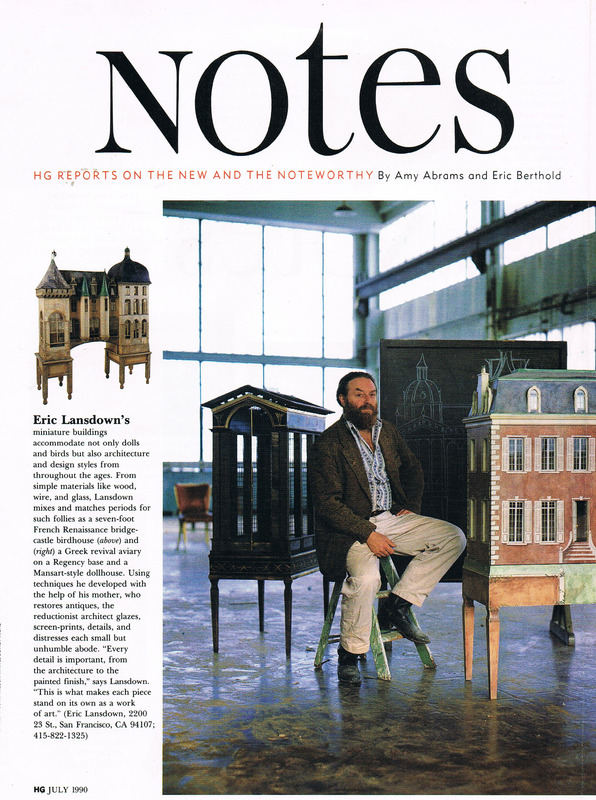 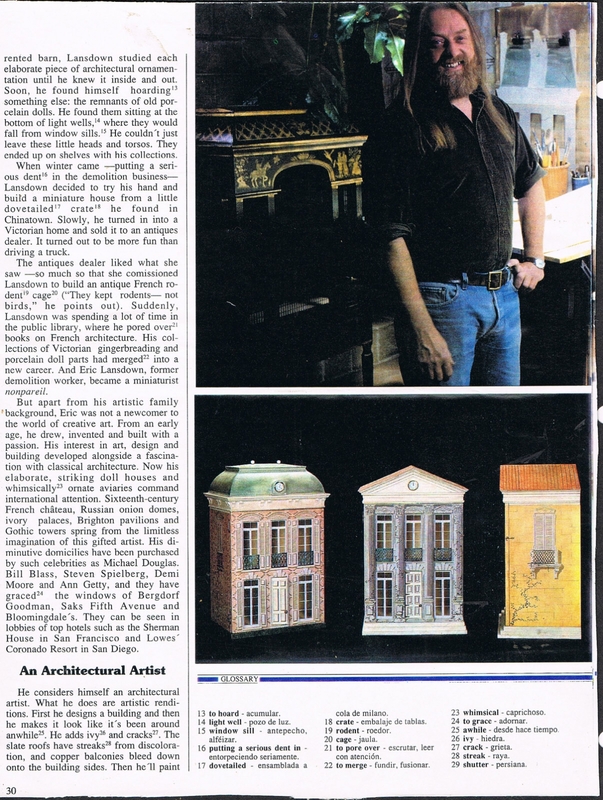 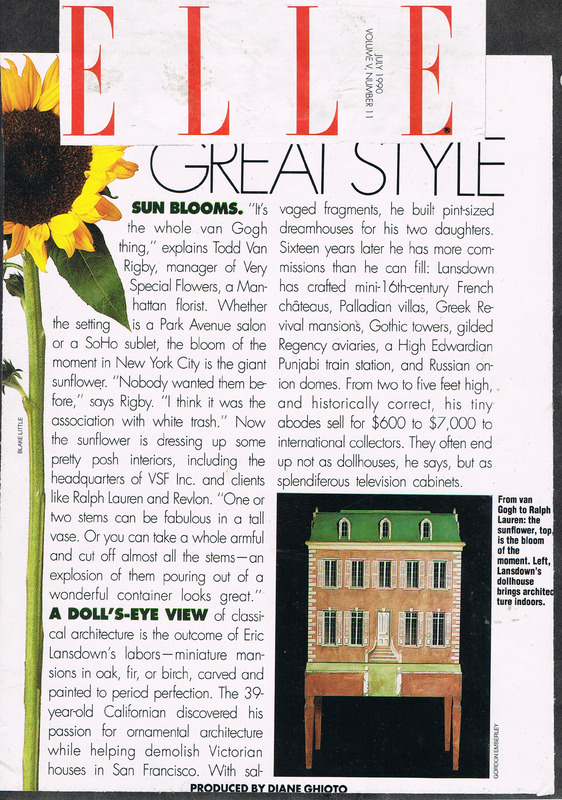 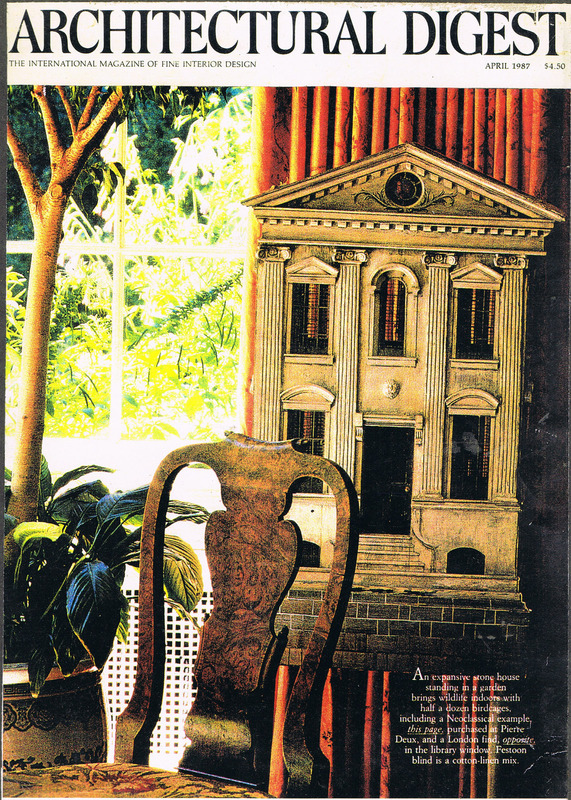 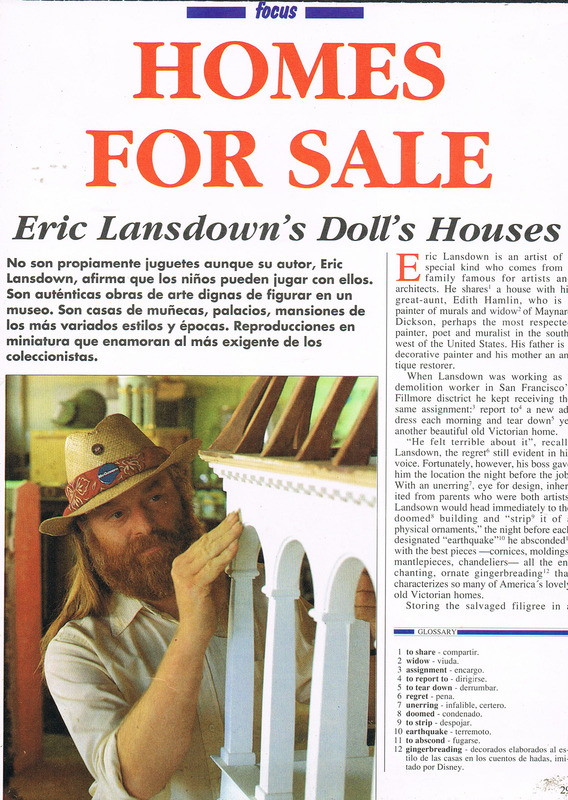 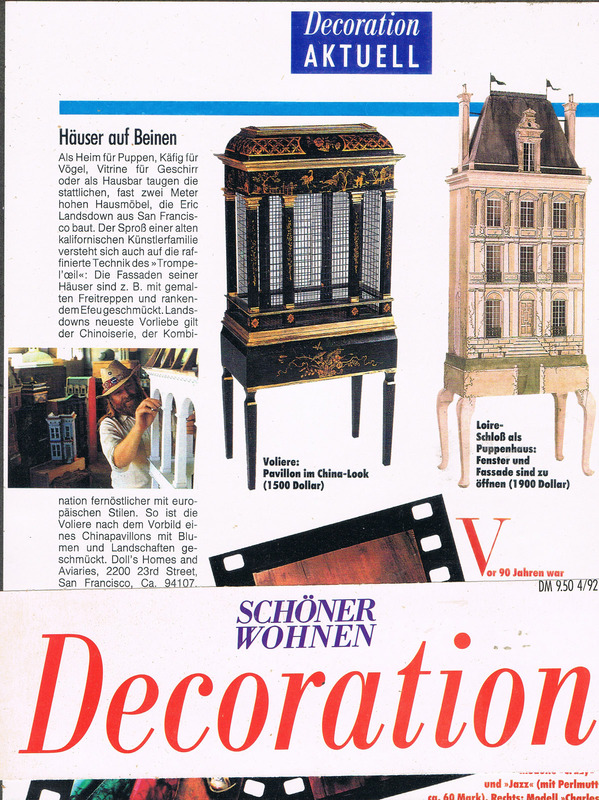 "Eric Lansdown featured in a full page article of House and Gardens in 1990. 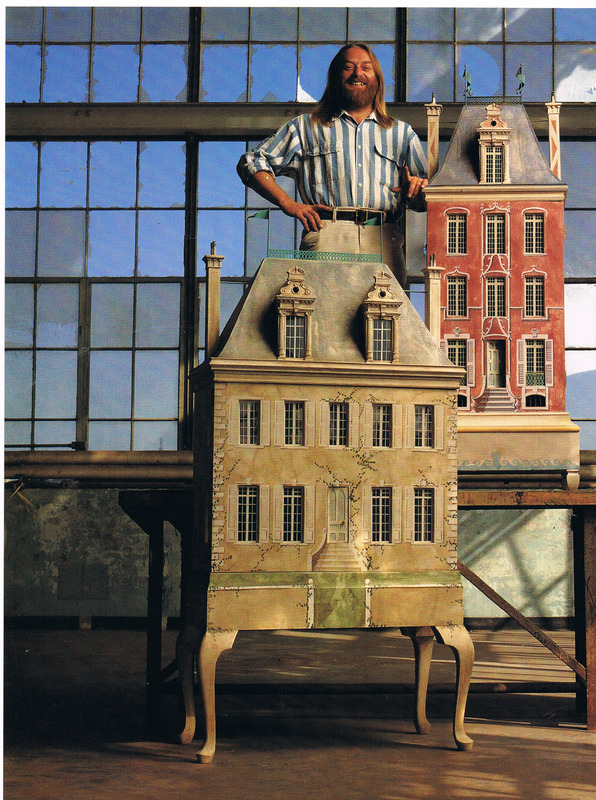 He is pictured beside a birdcage and a dollhouse in front of the ever present chalkboard in his Hunters Point shipyard studio in San Francisco. 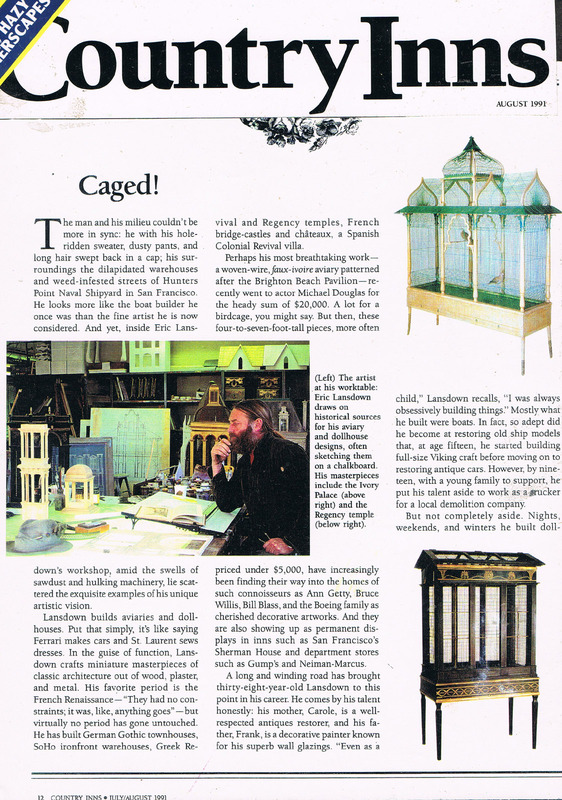 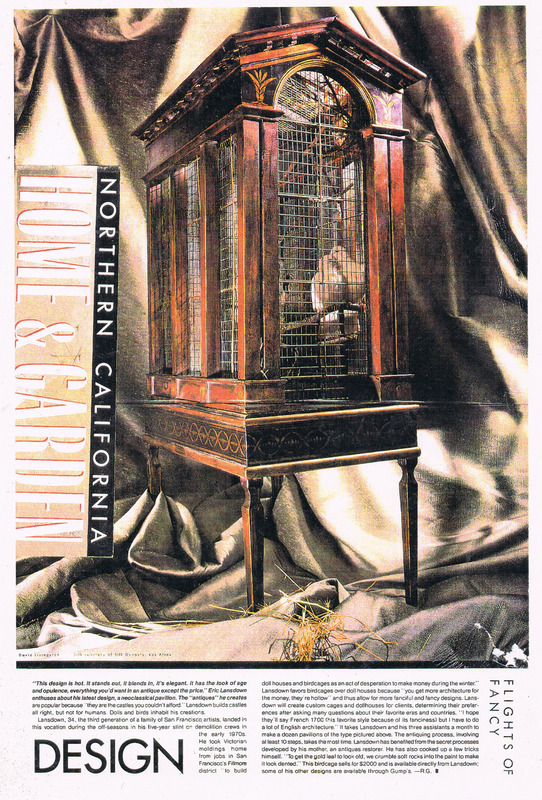 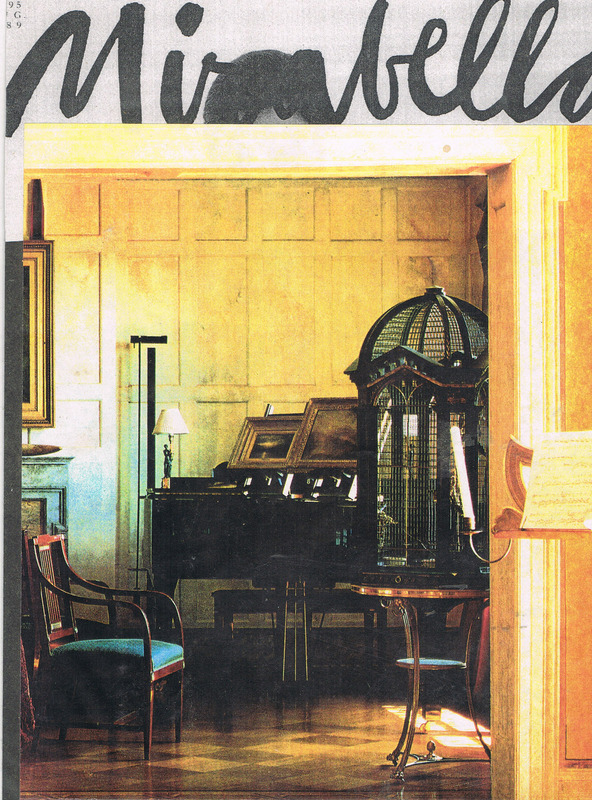 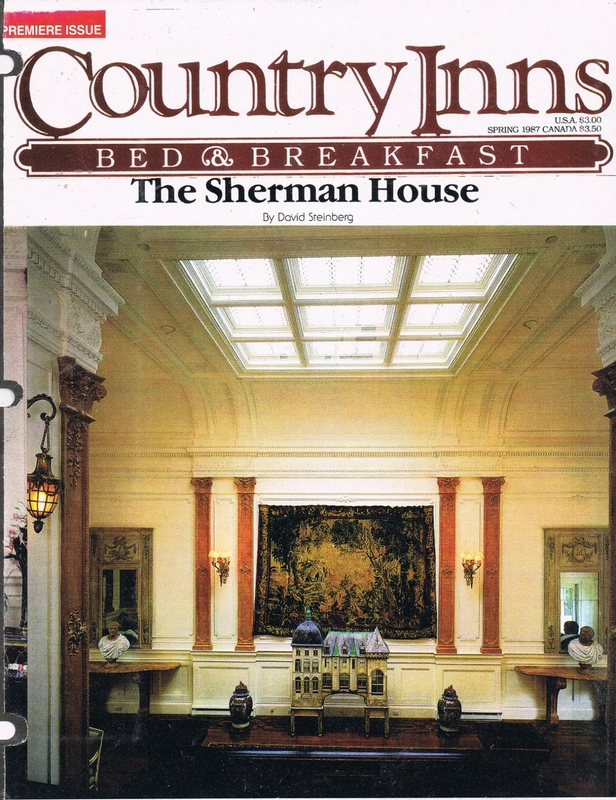 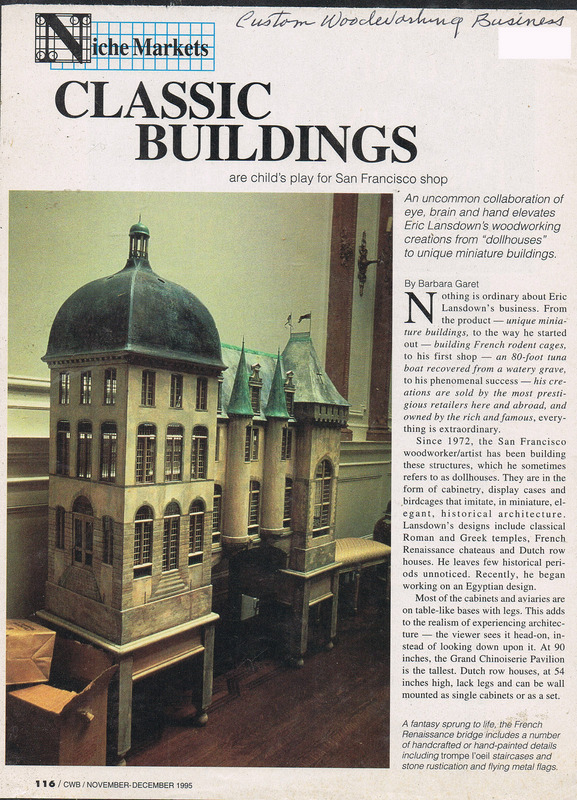 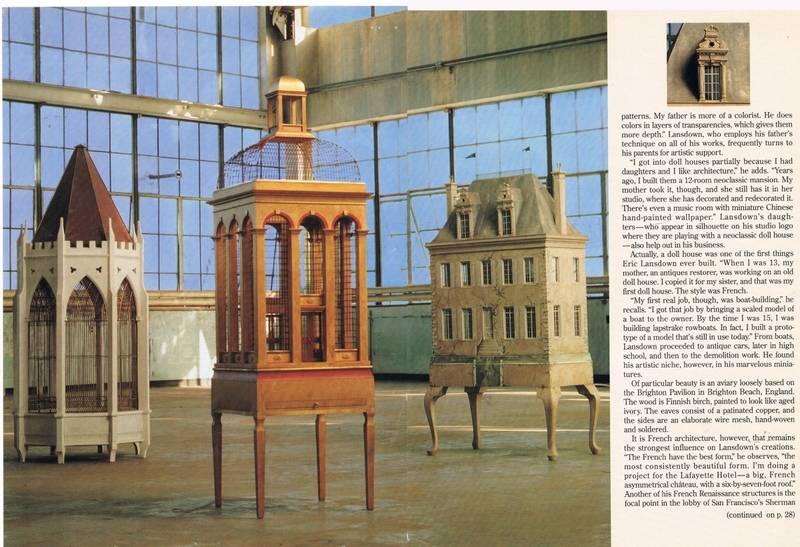 There is also an image of his French Renaissance Bridge bird cage....."
"Eric Lansdown bird cage - The Regency, featured in a full page article....."
"This is the first issue of Country Inns Magazine and the cover features the Eric Lansdown French Renaissance Bridge in the lobby of the Sherman House San Francisco. 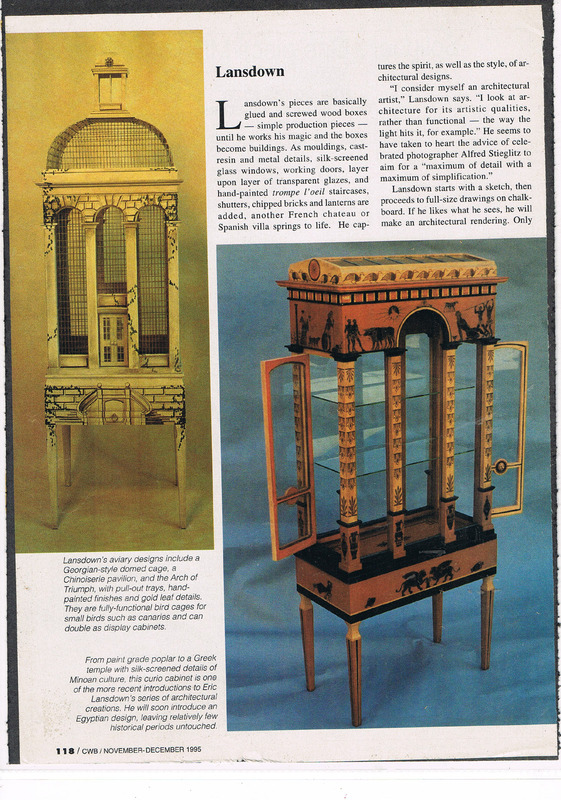 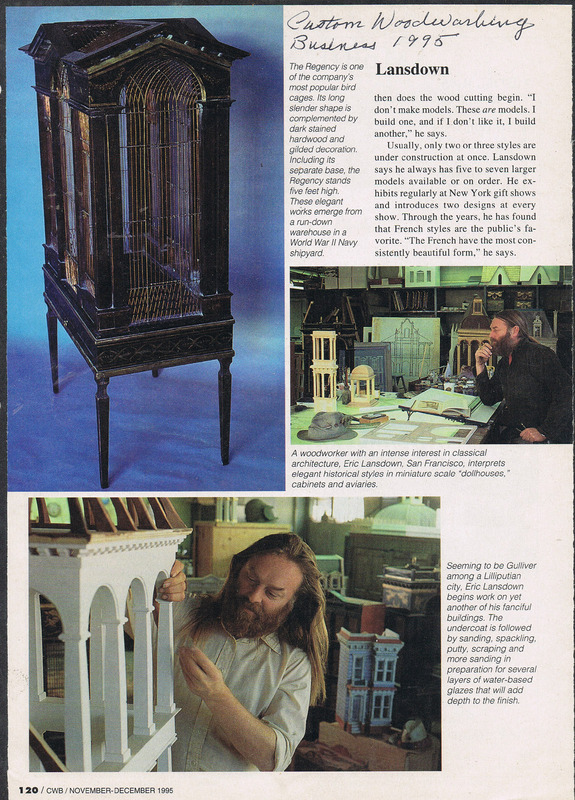 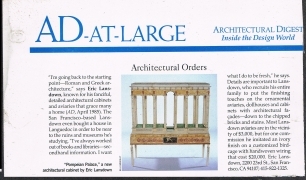 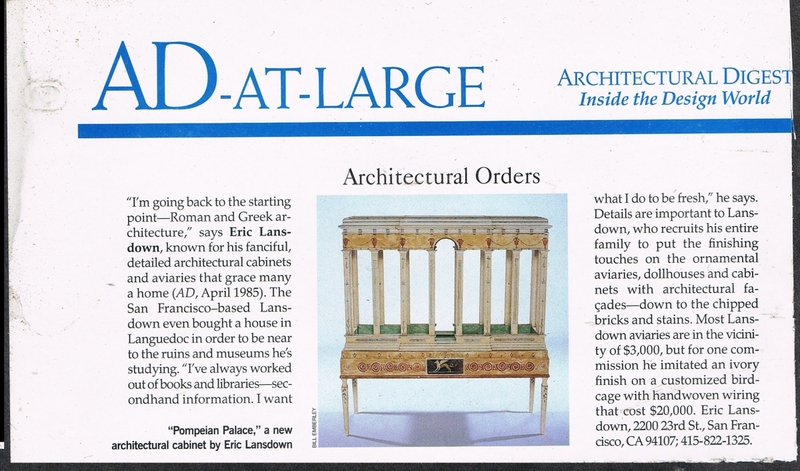 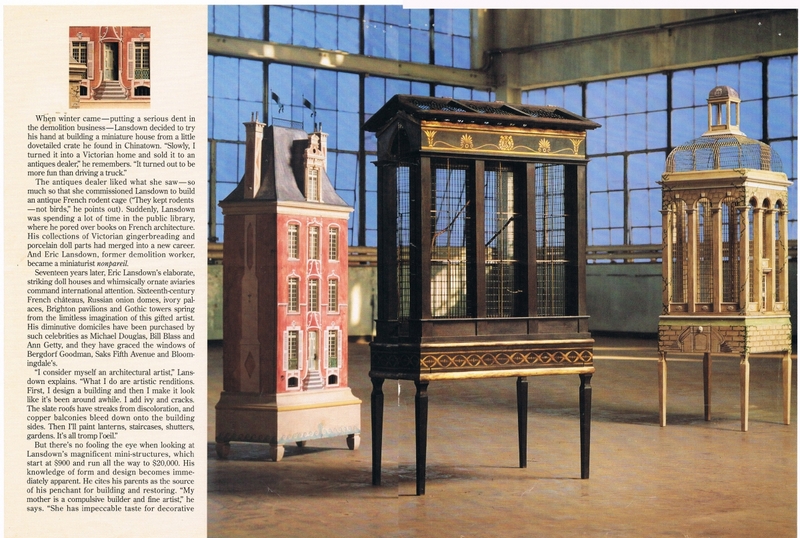 ...."
"This Pompeian style cage or display cabinet made by Eric Lansdown was featured in Architectural Digest 1994....."
"This article about Eric Lansdown in Country Inns 1991 was 2 full pages with nice photos and complimentary text. 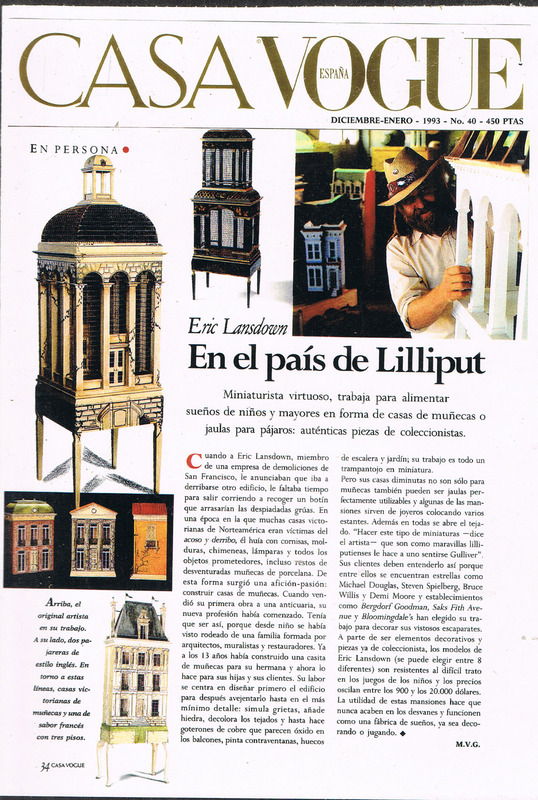 I am forever thankful for such flattering attention which in turn enables an artist to pay his assistants....."
"This was a German publication Decoration Aktuell with a nice page and pictures about Eric Lansdown but I have no idea what it says....."
"This magazine article about Eric Lansdown featured the journalist in my opinion who did the research....."
"As I was showing in Europe the Magazines picked up the story....."
"This article was not about Eric Lansdown but all about Demi Moore's new house and mentioned the cage she designed. 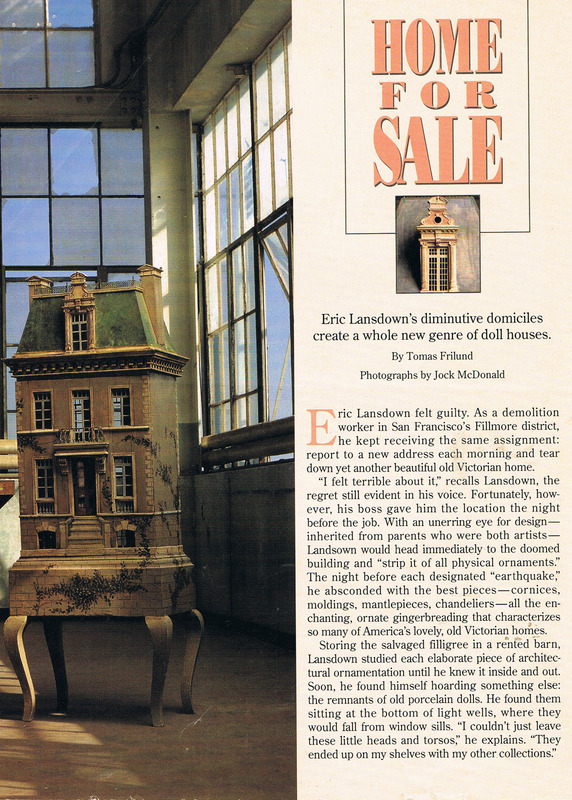 She did come to the studio and we designed it on the chalkboard but I thought she was the secretary to the interior decorators until they left and my daughter mentioned the 3000 dollar miniskirt. 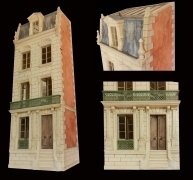 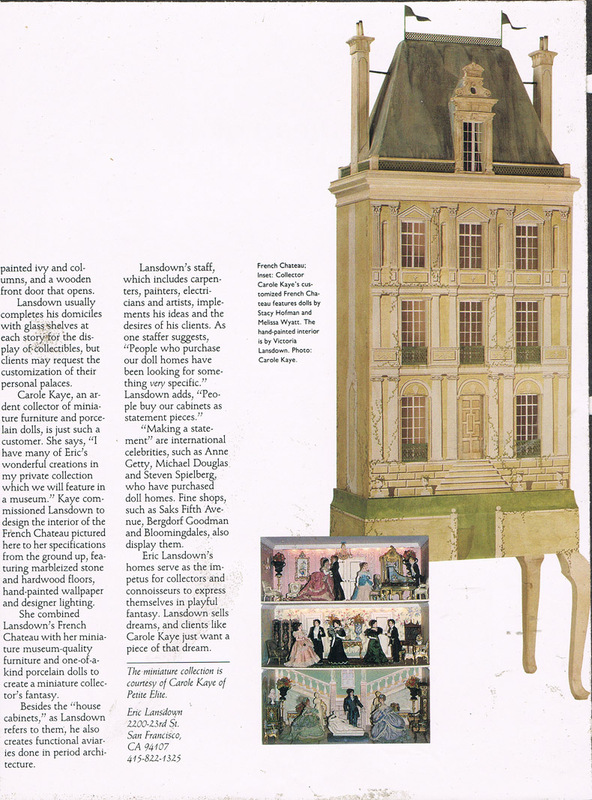 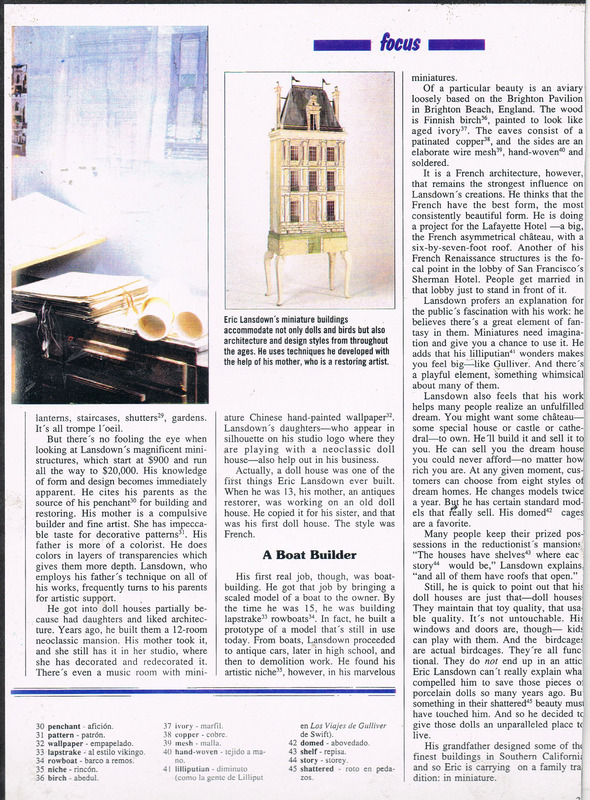 "This little article about Eric Lansdown in 1990 helped secure a number of orders....."
"A page from an article that did not mention Eric Lansdown but featured several photos attributing the houses to a discovery in London?...." 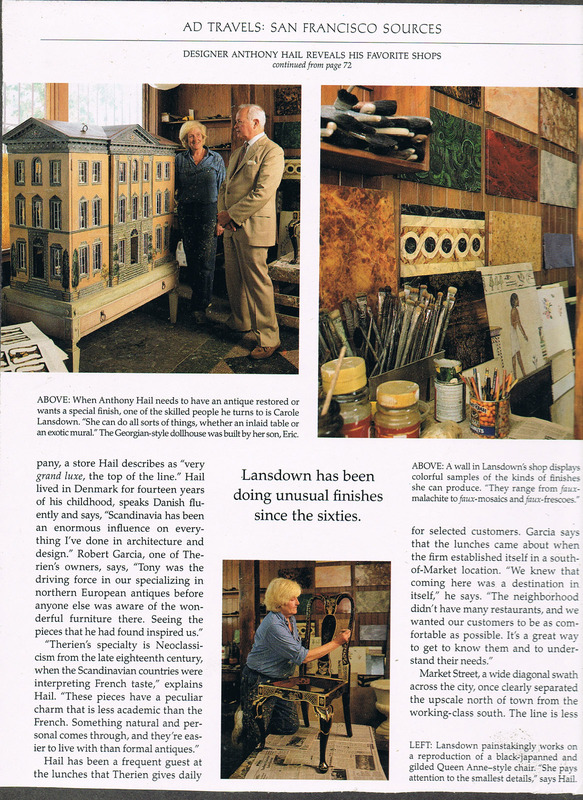 "Eric and Carole Lansdown mentioned with Carole pictured in front of the house built and decorated for Jessica and Bianca Lansdown. 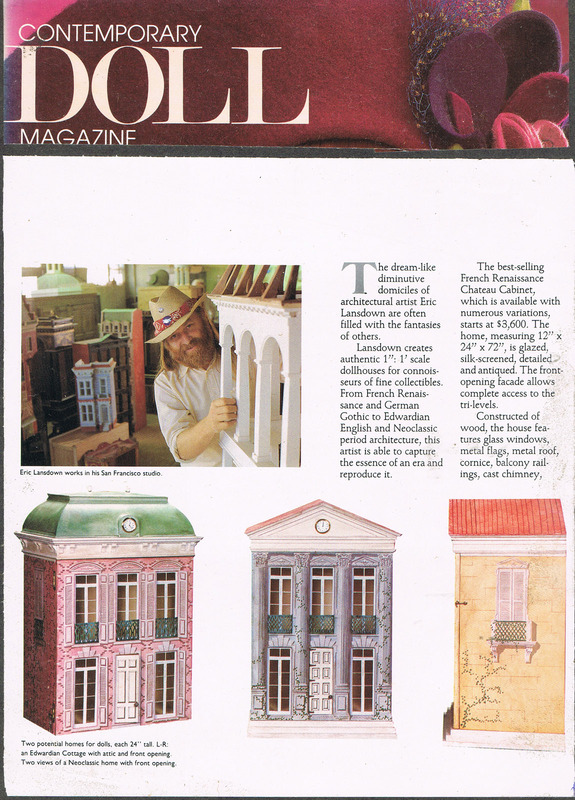 It is still with the Lansdown family....."
"This is a bilingual publication....."
"A Doll specialty magazine published in 1985....."
"This was a great collection of pictures....."